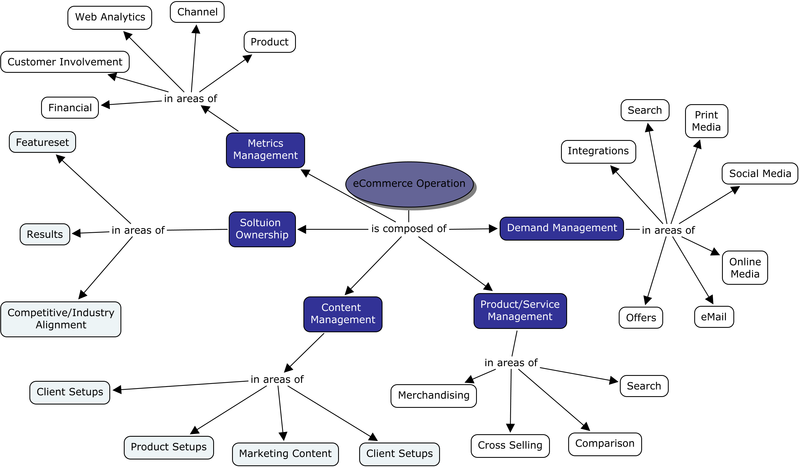 This is my fifth post on the defining elements of an eCommerce Operation. Previously, I’ve written about management in the areas of solution ownership, content management, product management, and demand management. In this post I’ll explore elements related to the metrics management of the group. The term metric in this case refers to a measurable unit of an item that is relevant to the success of the eCommerce operation. Typically, management will also specify a few key performance metrics or key performance indicators to provide focus on those with direct correlation to business success. The measurements are intended to be a measure of success against some threshold. That threshold might be a value set by previous baseline or it could be a stretch goal to show improvement in a certain area. Within the eCommerce group I’ll call out the areas where its important to have metrics. 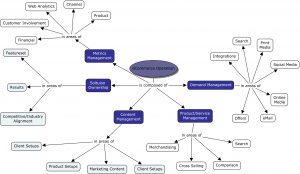 Metrics related to sales of your products and services are also part of metric management. Depending on your business, you may look to measure revenue, average cart purchase amount, product up-sell statistics, or retail value. When measuring the financial results of the operation be sure to specify if the metric is taken from the web site analytics or the back office reporting. It’s important to note that the numbers may vary slightly based on the ability of customers to cancel, modify, or return their order after its placed on your web site. Metrics related to channel are used to measure the effectiveness of the Internet channel compared to other channels such as phone, paper, or retail store front. In some businesses, it’s important to get as many Internet orders as possible if it provides the lowest cost to service. In other cases, it may be more desirable to have channels work in tandem to capture a sale in anyway possible. Create goals on channel usage and then measure the percentage of orders that come in by each channel. You should also keep the financial metrics split by channel.